Greetings, AKPsi Brothers, Friends, and Guests! On behalf of the Gamma Chapter of Alpha Kappa Psi at Northwestern University, we want to thank you for your interest in our fraternity. We are proud to be part of the long and proud history of Alpha Kappa Psi, both here at Northwestern and around the world. Our story with AKPsi began our freshman years, and through the fraternity, we have both met some of our closest friends, made wonderful memories, and have made personal and professional connections that will last a lifetime. We worked together as the Co-Vice Presidents of Membership for the 2015 calendar year, overseeing the Spring and Fall recruitment process and the respective pledge classes. This year, our goal as chapter leaders is to increase the value our chapter brings to our brothers, including a highly relevant collection of professional events and greater engagement for our brothers in the management of our chapter. While our brotherhood is based on a common interest in business, our own backgrounds indicate the variety of interests found among our members. Nirma is a native of Sri Lanka, and is studying Economics and French. Kammer is originally from Colorado, and is studying American History while minoring in the Business Institutions Program. We welcome any questions about the Fraternity, and encourage anyone who is interested to contact us through our contact form! One of the greatest assets of Alpha Kappa Psi is the new member education program. The rigorous process is both highly demanding and rewarding. New members learn about different areas of business, the national organization, the local chapter and about their own interests, strengths and weaknesses. While working collaboratively, pledge classes grow close and develop valuable teamwork skills. We have both had great experiences and built fantastic friendships through our membership programs. Through the new curriculum, we strive to provide fundamental business knowledge to new members and challenge each new member to significant individual growth, all while having fun at the same time. We look forward to getting to know you, working with and leading you through the process! Part of what differentiates Alpha Kappa Psi from other business student organizations at Northwestern is the bond we share as brothers. We aim to provide opportunities for not only professional success, but also personal enrichment through mutual support, mentorship, and social activities. We believe that having a network of brothers who share interests and passions is crucial to the positive college experience for all of our members. As a business fraternity, we facilitate bonding among our members from pledging to graduation. During the pledging process, our brother meeting system helps pledges become comfortable reaching out to upperclassmen and form friendships with older brothers. Once initiated, members have access to weekly bonding activities, as well as larger-scale social events ranging anywhere from group dinners to bowling nights and poolside barbecues. 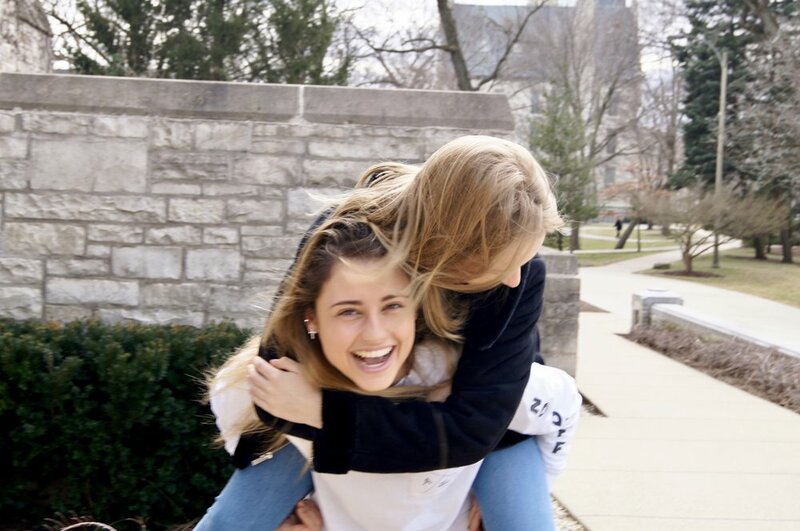 We also pair all of our members with a big, who serves the role of a mentor, confidante, and advocate through any successes or obstacles our members may face in their college careers. Our annual AKPsi retreat is another great way to spend a weekend with all of our brothers and solidify mutual interests into lifelong friendships. Strong bonds between all brothers regardless of age and background are always a priority to us. The bonds our members form with each other last far beyond graduation. Our alumni all across the world continue to remain active in our brotherhood by providing anything from a couch to crash on to diverse business connections in order to support our members in their professional endeavors. At it's core, Alpha Kappa Psi is a professional fraternity - an organization where business-minded people can share their professional knowledge and experiences in order to help fellow brothers succeed. As a result, strong emphasis is put on the Professional Development of our members in the hopes of furthering the tradition of excellence among Alpha Kappa Psi brothers. Our Professional Development operates in a system of giving back where older, experienced, brothers who have firsthand recruitment experience help younger brothers secure the internships they want. Then, when the time comes, these younger brothers will pass their knowledge on as well. It is this strong network of mentorship that both lays the foundation and fosters the continuation of our brothers' successes. Through this system, we provide a wide range of Professional Development resources and programs, including: -Individualized Mentor-Mentee pairings, so younger brothers always have a go to with any career-oriented questions they may have -Exclusive office visits to top firms such as McKinsey or Nielsen -Professional/technical workshops to prep brothers for consulting, investment banking, or other finance interviews -Weekly general workshops on topics such as how to network, interview tips, detailed information about each industry within business, etc. -Mock interviews with senior brothers familiar with recruitment processes -Open office hours with both VPs of Professional Development for one-on-one discussion of careers, goals, concerns, etc. As an organization, Alpha Kappa Psi is incredibly proud of the success of our brothers. Through our commitment to Professional Development, the Gamma Chapter has sent AKPsi alum to top firms such as Goldman Sachs, JP Morgan, McKinsey, and Bain, just to name a few. We also have alums working towards a PhD, as well as entrepreneurs and software developers. Much of this success is due to the dedication of the brothers who came before us, so we hope to return the favor by giving back and furthering this cycle of achievement!